I am now on day four of being snowed in, how about you? I created three useful, but adorable writing handouts for students. Click on each picture to download your free copy. 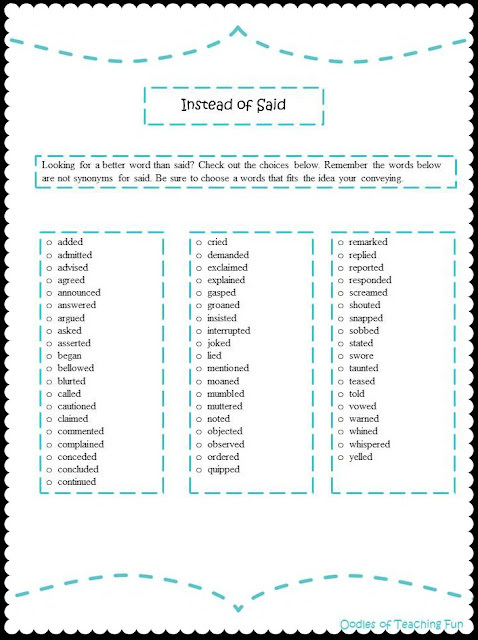 A great resource to help students write with words other than the dreaded said. 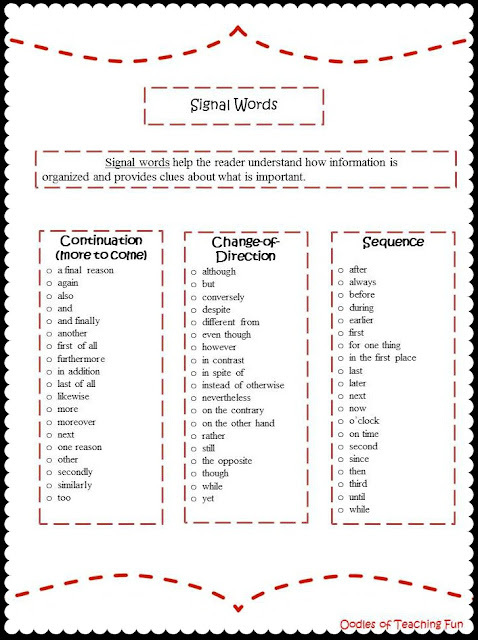 Signal words are tricky for students. This handout is a great tool to help out. 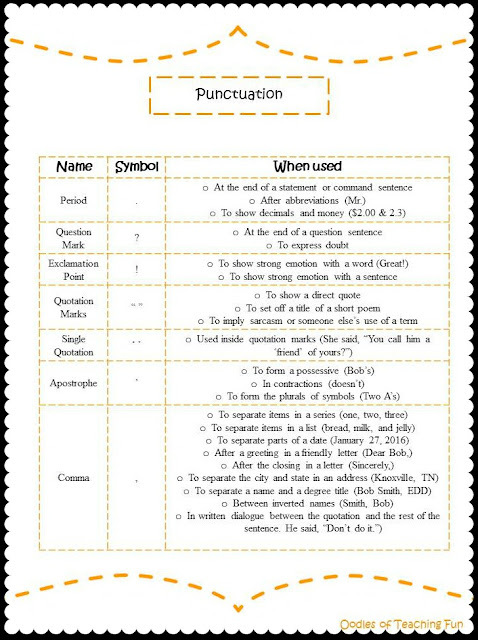 Another great resource to help students know which punctuation mark they should use. Thank you for stopping by. If you would like to see more writing resources, comment below with what you need.